This is book 4 of The Fall of Eldvar by Jim Galford. I reviewed book 1, In Wilder Lands, here in March 2012; book 2, Into the Desert Wilds, in November 2012, and book 3, Sunset of Lantonne, in February 2014. 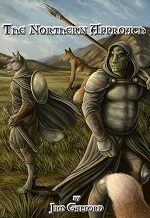 The first two are a two-part subseries, “the wilding story arc”, within the larger saga of The Fall of Eldvar. 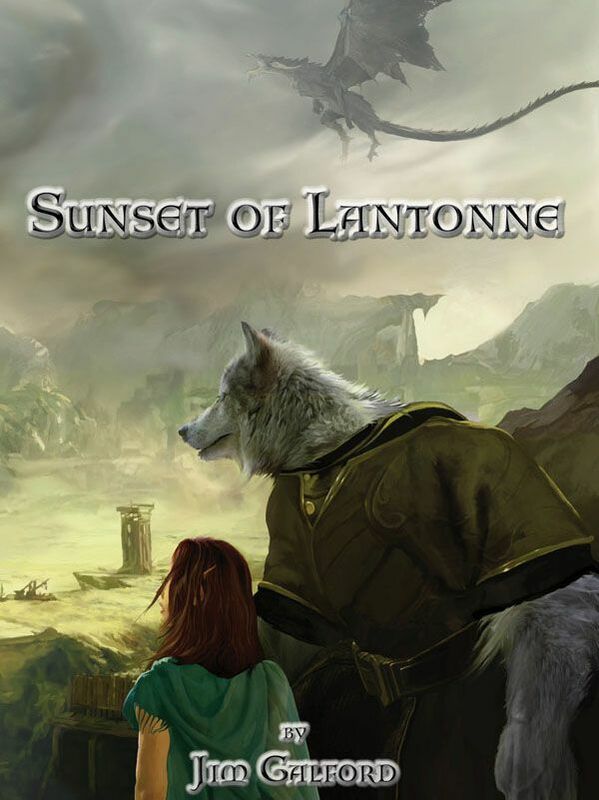 Sunset of Lantonne is a standalone adventure. The Northern Approach, which debuts at Rocky Mountain Fur Con 2014 this month, continues roughly where both Sunset of Lantonne and Into the Desert Wilds end. The planned book 5, Bones of the Empire, will wrap up and complete the series. What this means is that it is assumed the reader is familiar with the events in at least Sunset of Lantonne. The Northern Approach begins almost a year after the fall of Lantonne at its climax; but in terms of the action it follows immediately, without any synopsis. Eldvar is a world of humans, elves, dwarfs, talking dragons and more, including wildings which are anthropomorphic animals. The story’s focus on the wildings is why the novels of The Fall of Eldvar qualify for review on Flayrah. 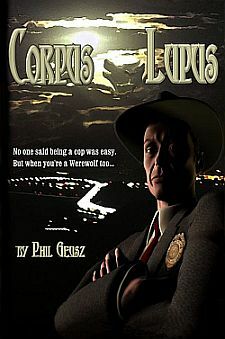 Seattle, WA, CreateSpace, August 2014, trade paperback $13.99 (432 pages), Kindle $2.99.